The Hangout Music Fest announced new additions to its 2014 lineup includingÂ Gary Clark Jr,Â Matt and Kim,Â Dawes,Â Ozomatli,Â Tommy Trash,The Tontons,Â St Paul and the Broken Bones,Â Caked Up,Â Empires,Â BlackÂ Cadillacs, andÂ The ElectricÂ Sons. The festival is May 16- 18, 2014, just miles from the Florida border on the sugar-white sand beaches of Gulf Shores, Alabama. The 2014 lineup is presented by Chevrolet, who will once again be sponsoring a stage on the beach at the Hangout. 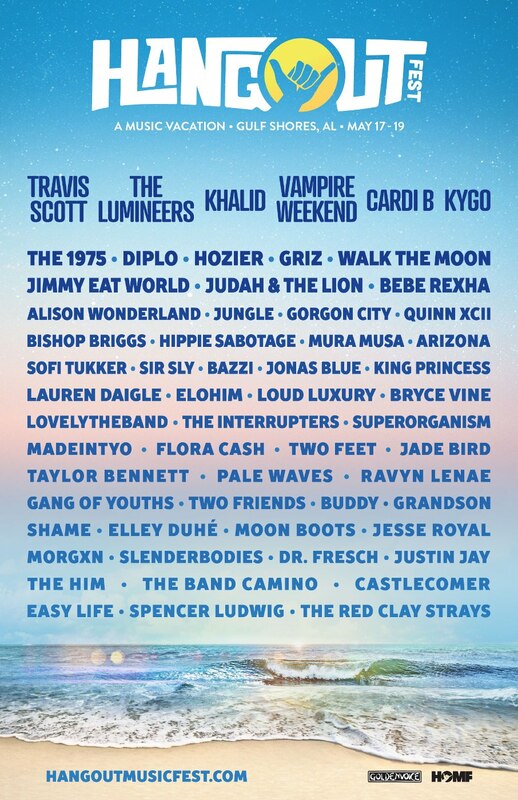 Artists previously announced to perform Hangout Music Festival include:Â The Black Keys,Â The Killers, Outkast,Â Jack Johnson,Â Queens of the Stone Age, Pretty Lights, TheÂ Avett Brothers,Â Modest Mouse,Â The Flaming Lips,Â STS9,Â Wiz Khalifa,Zedd,Â Childish Gambino,Â Amos Lee, Conor Oberst,Â Tegan and Sara, Portugal The Man,Fitz and the Tantrums,Â Capital Cities,Â Boys Noize,Â Bloody Beetroots,Â Ingrid Michaelson,Trombone Shorty & Orleans Avenue,Â NEEDTOBREATHE,Â The 1975Â andÂ Bastille. Hangout recently announced their Thursday night lineup as well. Remember, 92ZEW is counting down the days until Hangout Festival with a weekly free concert from national recording artists, The Mowgli’s, Wild Feathers, Scars on 45 and more. 92ZEW and Meyer Vacation Rentals have your chance to attend Hangout Festival VIP style. Qualifying going on now.